At first glance, large dog breeds are stunning, intimidating and a serious hunk of size. They think big and act even bigger. Large dog breeds weigh in between 50 – 100 pounds and stand anywhere from 23 – 28 inches tall at the shoulder. 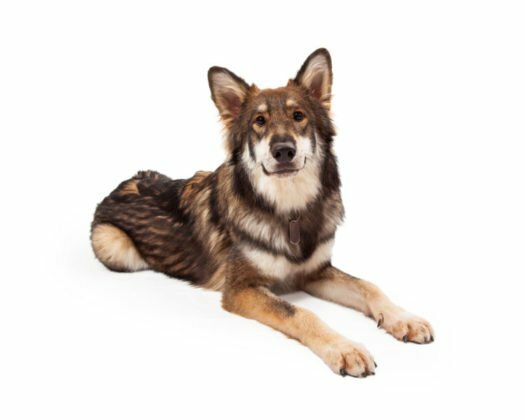 Members of the large dog breed family include German Shepherds, Golden Retrievers, Rottweilers, Bernese Mountain Dogs, Cane Corsos, Collies and more. At their core, many of these large canines are genuinely sweet, calm, gentle and crazy fond of snuggling. Large doggos can settle in nearly anywhere, provided their exercise needs are met. However, it’s no joke that these gentle giants require lots of exercise and plenty of room to roam. In addition, many large breeds adapt quickly to family life and are calmer than their smaller canine counterparts, but every canine has the right to be unique. Always keep an eye open for the exception. What are your expectations for large breeds? Large dogs sport different behaviors from those found in medium and small dogs. Often people will choose large dogs as jogging buddies, adventure companions and loyal protectors. So consider, what are your expectations for your large canine? How much space is required for your large dog to thrive? Determined to think big and act even bigger is the large dog breed family. Hence, be sure your canine has lots of space available to roam and explore. And never try to squeeze these buddies into a normal-sized crate; it simply won’t work. What are training requirements for large breeds? When first bringing home a large breed, you can expect either a stunning addition or an instant chaos instigator. They’re cute as pups, but don’t kid yourself. Give them space to grow and they’ll soon be controlling your life unless properly trained. So begin training early and socialize your growing dog often with family, friends, neighbors and children. Teach your puppy what’s expected around the home and always keep clear who’s in charge. Should you eliminate training, you can expect to be left with a bored, destructive and unpleasant canine. Always be firm, gentle and consistent. In turn, an obedient and well-behaved hunk of canine will be your steady companion. How much exercise is required for large breeds? Will you have time for that daily walk? What about extra time at the dog park, a run around the block or a hike in the wild? Exercise is key in nurturing a healthy and happy large canine. Which large dog breed temperament best fits your personality? Each dog is unique and every breed its own. Whether it is loyal, strong, protective, gentle, or sweet, what is it you’re looking for from your beautiful canine? In addition, you might also consider the color, coat type and shape of whichever breed you’re looking to bring home. If you’re looking for a lover rather than a fighter, Bernese Mountain Dogs, Saint Bernards and Great Danes are all ideal choices. Or perhaps you’re searching for who’s popular among large breed families. Akitas: although not ideal for small children, they’re exceptional guard dogs. Boxers: they’re flexible and quick to adapt to family life. Border Collies: They’re a genuine family dog and thrive on mental and physical stimulation. German Shepherds: they’re protective, they love to work and they epitomize loyalty. Golden Retrievers: Athletic, intelligent and easy to train are the beautiful Golden Retrievers. Mastiffs: Though massive in body, they’re calm and good-natured at heart. Rottweilers: They’re devoted and good-natured through and through. Siberian Huskies: Bred for cooler climates, they’re friendly and love a good dose of exercise. Below is a list of large dog breeds. This large dog breed list is perfect if you want to scan through all of the large dogs to find your perfect puppy. It also works great to copy and paste large dog breeds as a list. Because large dogs are big in every way, be sure to do your research prior to bringing home your new doggo. This way you can ensure you’re ready to care for a hunk of canine. Although massive in size, large dogs are often fragile within and prove more susceptible to certain genetic and contagious ailments. In addition, hip dysplasia and arthritis are not unknown among large breeds. Research potential problems for your breed and learn how to detect warning signs of illness. You might also consider grabbing a reliable puppy insurance as the size of large dogs demands more of everything, including those unpleasant meds. As a result, dog bills are subsequently larger than those listed for medium and small dogs. Large dogs also typically enjoy a shorter lifespan than medium and small dog breeds. The Mastiff, for example, has a lifespan of eight to ten years while a little Yorkshire Terrier might enjoy a full twelve to sixteen years of life. Be sure to include quality food and switch early to adult dog food. 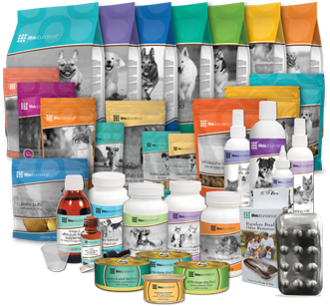 In addition, speak with a vet regarding proper quantity and supplements for your breed. Don’t try speeding growth by feeding your large dog additional food. Living overweight is never healthy and expedited growth may increase health ailments later in life. On a regular basis, be sure the nails stay trimmed, ears clean and fur brushed. Plus, keep those pearly whites gleaming with a vet-approved puppy toothpaste. Intersperse grooming with an occasional bath (typically not more than once a month). When you do bathe your giant, be sure to first brush your canine to remove any dead fur. Once soaked down, proceed with a vet-approved dog shampoo. Training is key when bonding with a large dog. Always provide consistent and loving training from day one. Plus, establish who the pack leader is to avoid getting overrun by your growing canine. Large dogs require large and sturdy supplies. Are your dinner bowls large enough? Is your leash strong enough? Are those toys tough enough? Welcoming a large dog home is no small feat. So go ahead and do your homework, complete some research and be informed regarding the commitment you’re about to make. When properly prepared, the reward (just like the dog) is sure to be a big one!